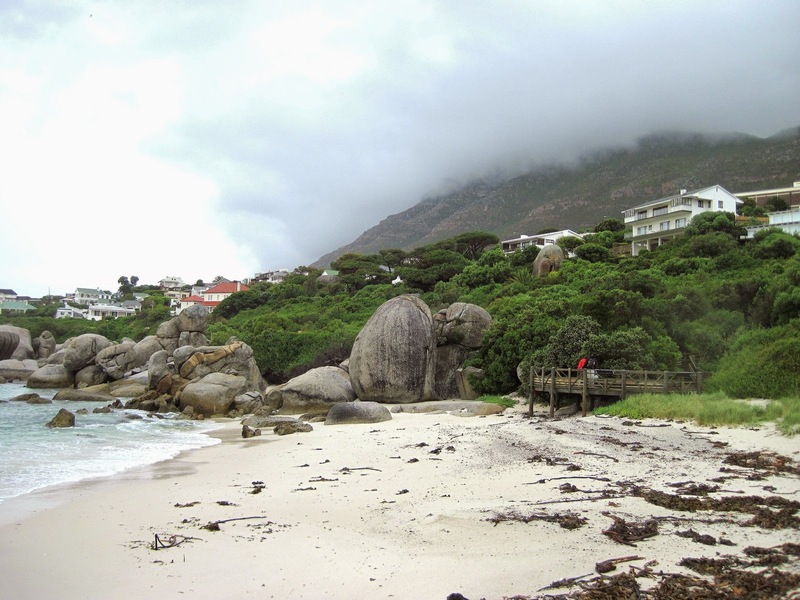 Cape Peninsula, South Africa is a beautiful place..
..and I wish I could share an experience of a sunny day with blue skies. 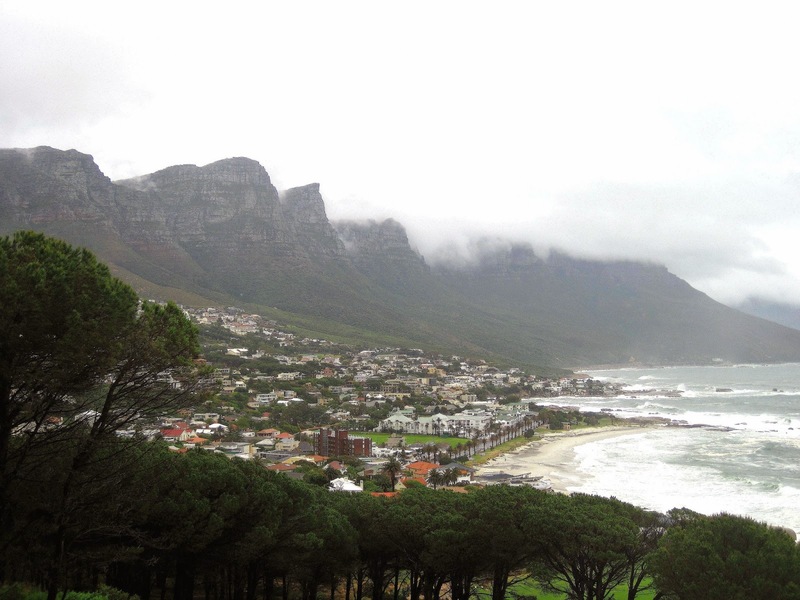 We visited South Africa in October, which was supposed to be a good time for travelling. Still, better to see the peninsula on a stormy day, than to never see it at all! 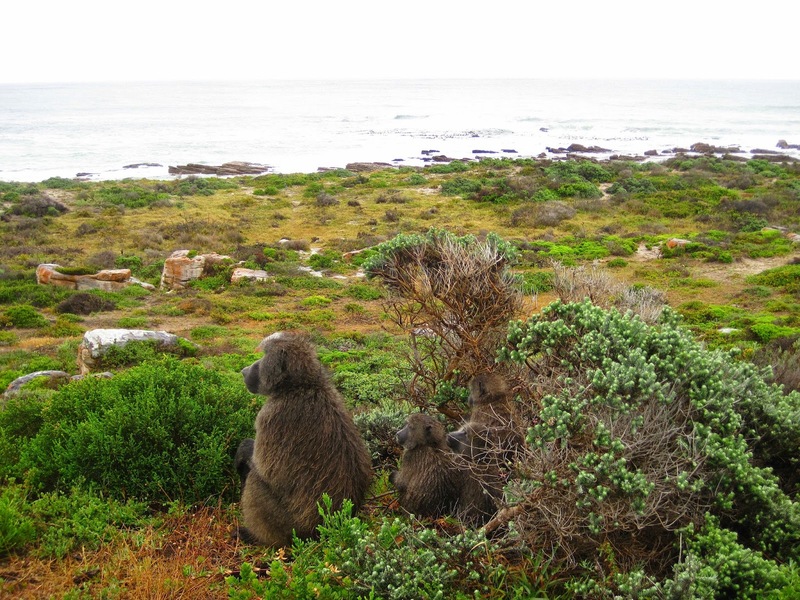 Cape Peninsula full day tours are readily available, and we booked ours through our hostel in Cape Town. 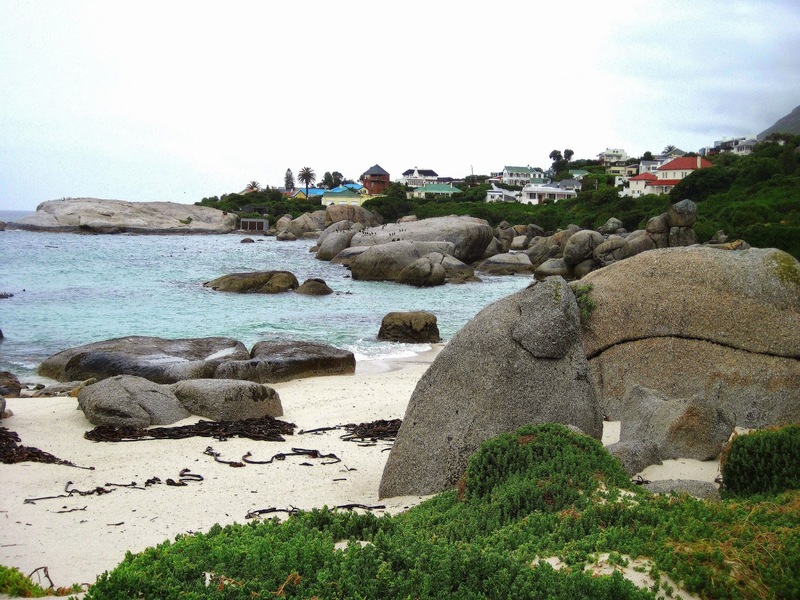 Our first stop, 20 minutes away from Cape Town. 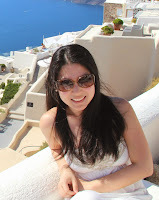 A coastal town with a fishing village, a harbour, a beach, crafts markets, and antique shops. And famous for some of the world's best Fish and Chips. 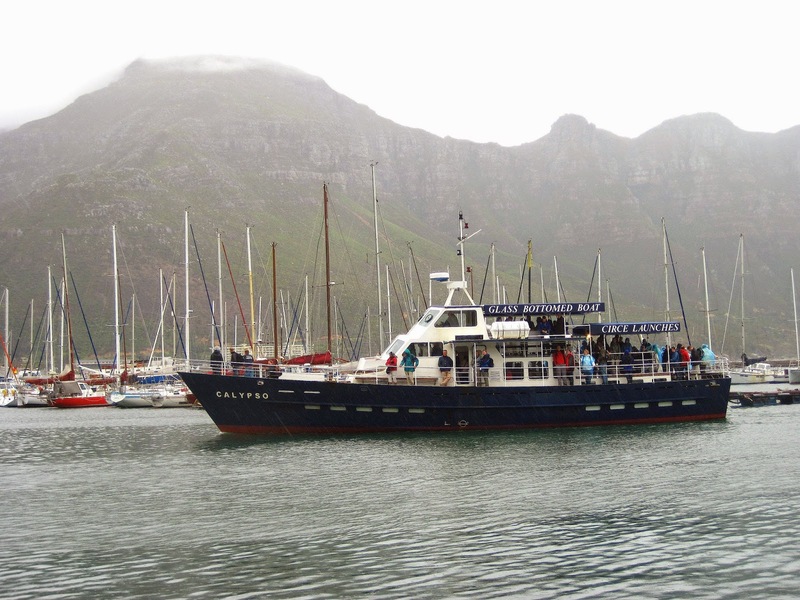 At the harbour, waiting for our cruise..
..that brought us to Duiker Island, also called Seal Island..
..because it has a large seal colony. I have to admit that this cruise was torturous for me because of the rough seas. So if you tend to get seasick, take your medicine before stepping into the boat! 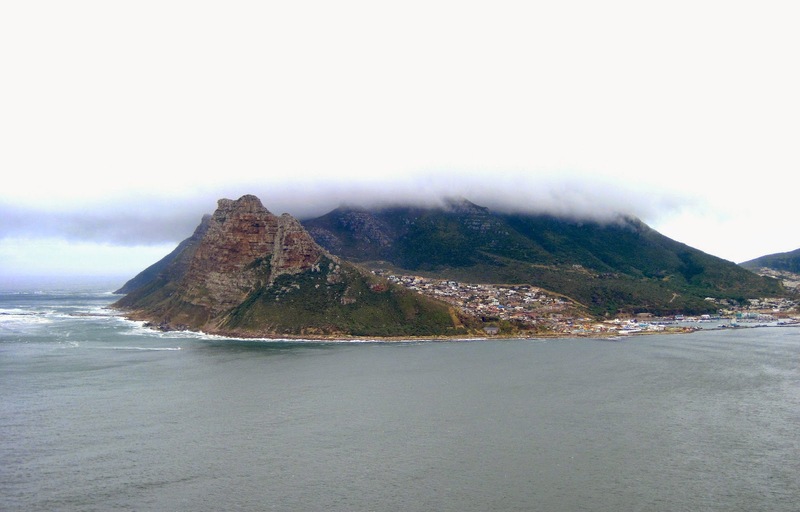 Our next attraction, famous for its 180º view of Cape Peninsula. We drove along this spectacular 9km route, and stopped by a few areas to take pictures and enjoy the scenery. 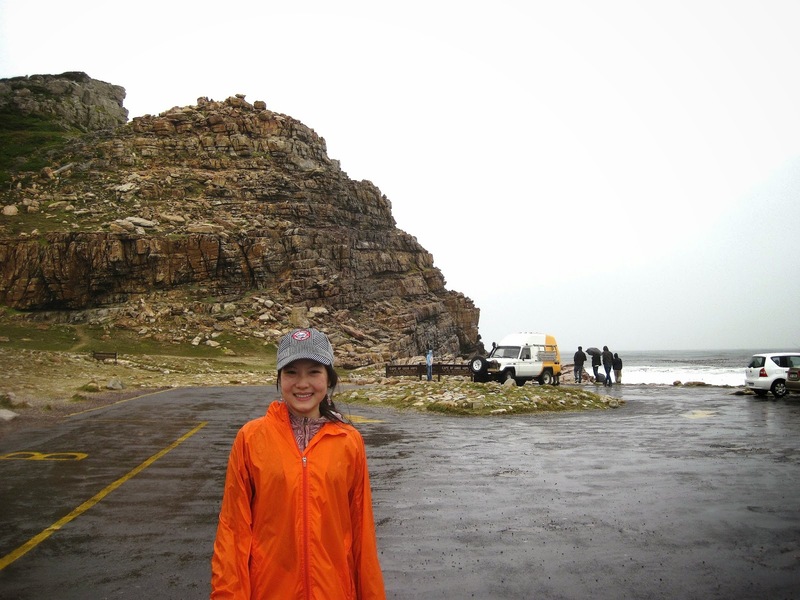 It was very cold and raining at this time.. but imagine how beautiful it would be with sunny skies! One of my favourite places in the world! 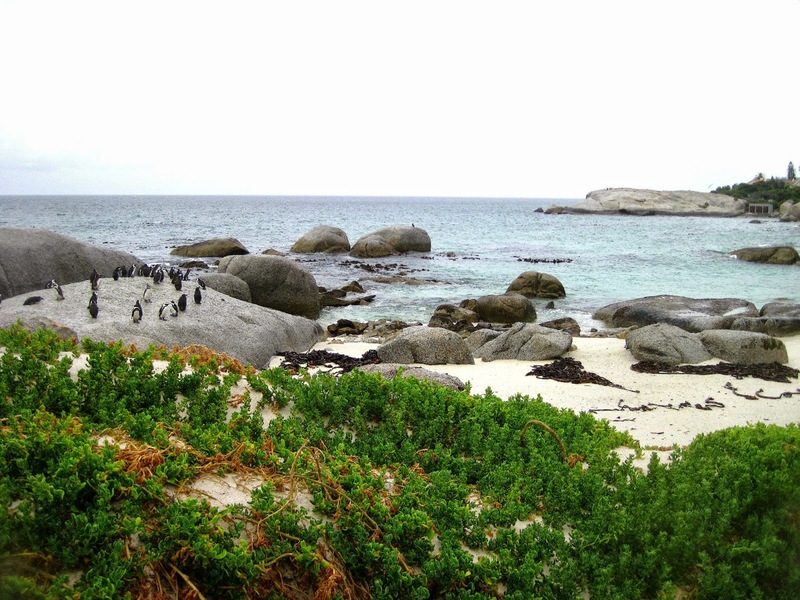 The beach is so beautiful, with white sand, granite boulders and small rock pools..
..and is home to a breeding colony of over 2,500 endangered African Penguins! You can watch the penguins from the boardwalks, or swim with them at the beach. They are sooo cute, but just don't swim near them or touch them, because they bite! 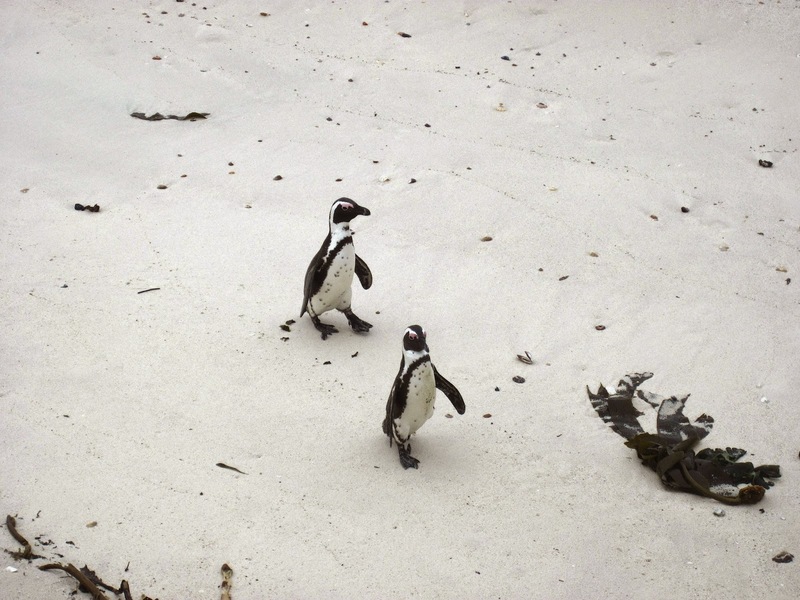 In 1983, a pair of African Penguins migrated to this beach, and began to lay eggs 2 years later. The colony grew rapidly due to reproduction, and more immigration. 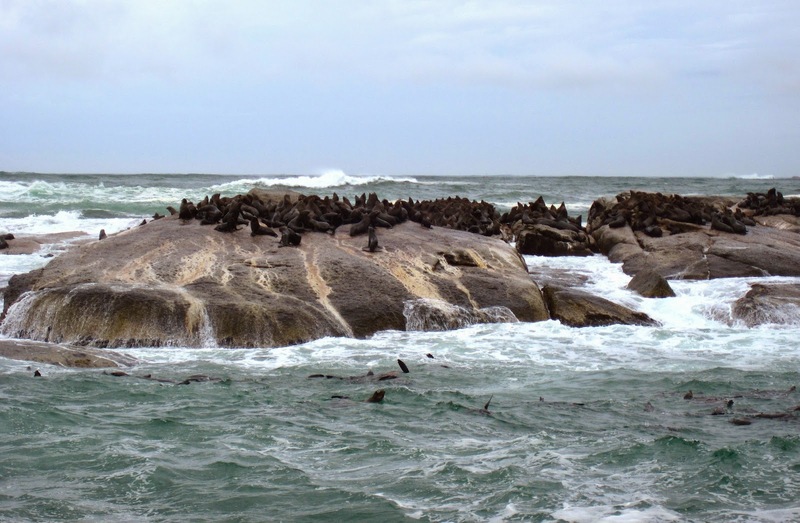 Originally called by the Portuguese explorer Bartolomeu Dias as the Cape of Storms in 1488, this area has seen a lot of shipwrecks due to violent storms and dangerous rocks. 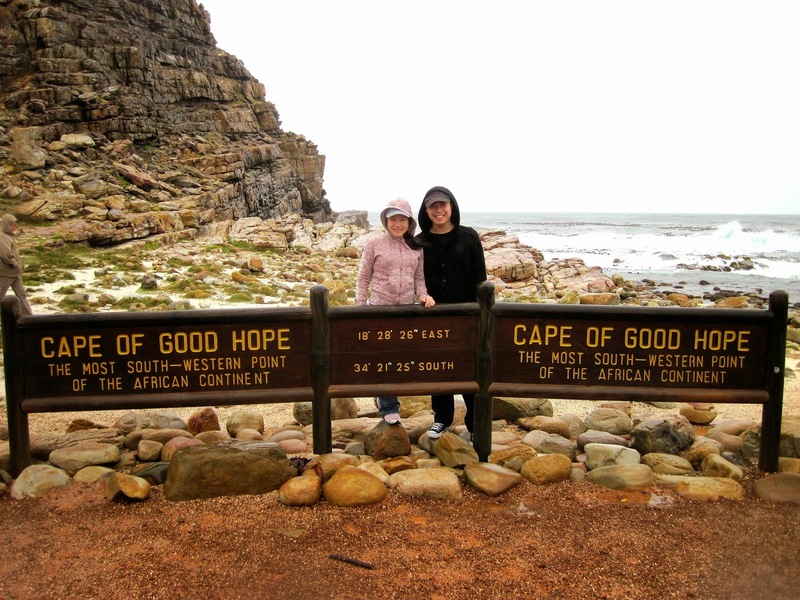 But after rounding the cape and realising that they have discovered the trade route to India and the Far East, the Portuguese changed the name to Cape of Good Hope. We climbed to the top of the lower peak. That's the higher peak.. you can see some people on top. Last stop, the other tip of the peninsula. Thank God, there's a funicular going up to the peak! Two Oceans Restaurant.. and what a view! Just a little bit more climb.. I wish I could blow the fog away. 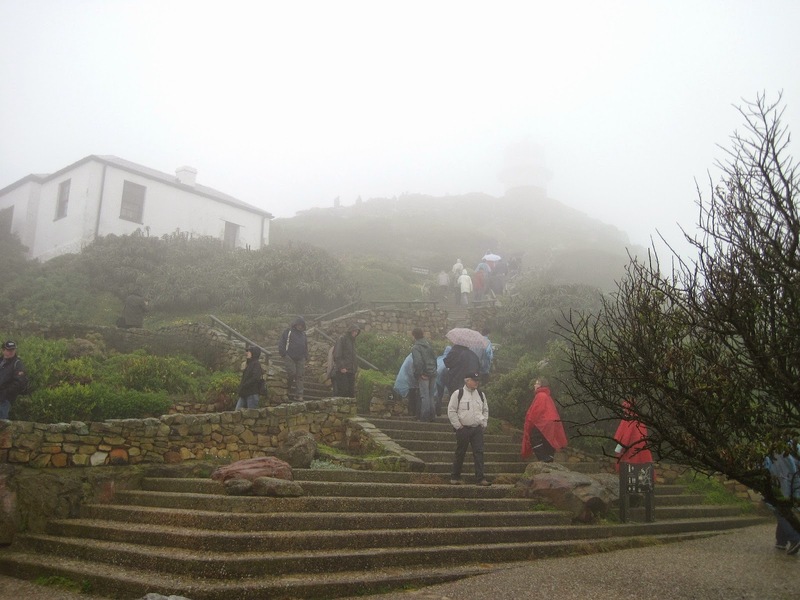 And here we are.. at the lighthouse with all the other cold and soaked tourists. 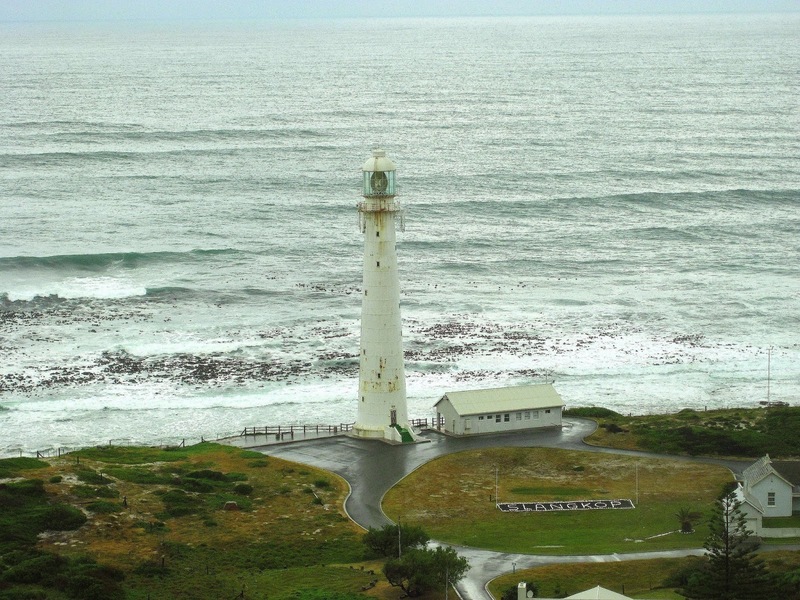 This lighthouse though, proved to be ineffective because it was always covered with clouds and mist.. as you can see. So they erected another one at Dias Point. The view from above.. just imagine there was no fog.. but blue sunny skies..